This micro switch replaces defective ones in all German Wurlitzer models which offer the horizontal playing position, and in the mechansim #41200. The orig. part number is 0020420024. It replaces as well the micro switches at the actuating disc. Orig. part number: 0020420027 resp. 11206. Furthermore it can be acting as a NC, NO, or changeover contact. 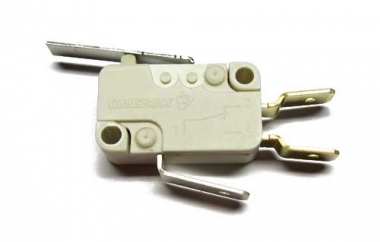 Note: Compared to the originally used microswitch the upper contact is (2) the closed one.